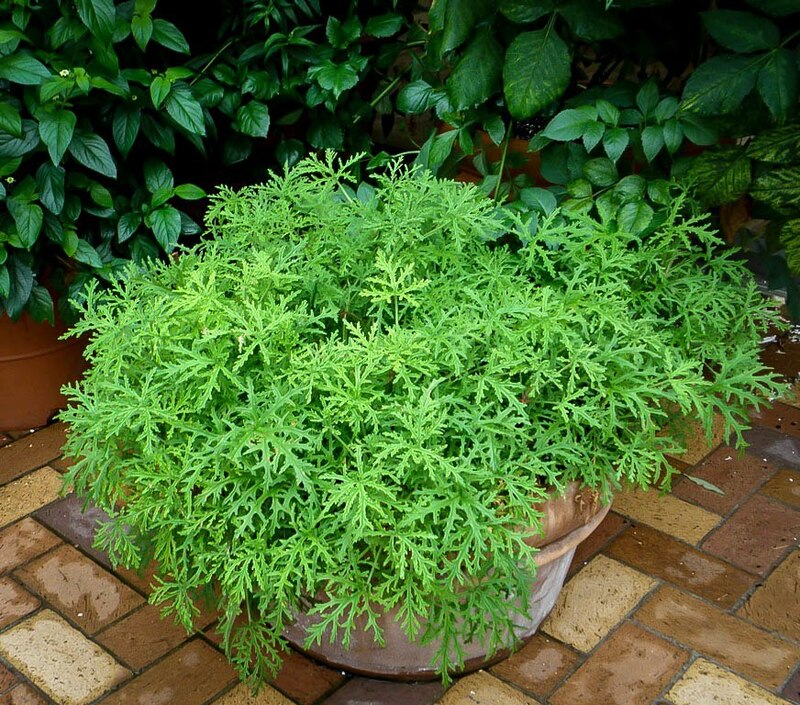 Citronella is a small shrub that can be grown in a pot or outdoors in warm regions. In areas where winter temperatures are below freezing it can be grown in a pot for many years and moved around to wherever you need its wonderful scent to perfume the air and drive away mosquitoes. 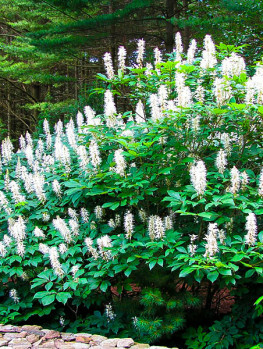 It has attractive wrinkled leaves and purple-pink flowers all summer long. This plant will live happily for years in a pot, especially if you place it outdoors during the summer. It has a wonderful citrus smell that is most noticeable during hot weather or when you crush a leaf between your fingers to release that wonderful tangy perfume. Summer is a wonderful season and one of the great pleasures of summer is to sit out in the evening on your porch, or enjoy a barbecue or party in the garden. The fun can be spoiled by those pesky mosquitoes, which may drive you indoors. Now there is a natural solution that will allow you to finally enjoy those warm evenings without being bothered by mosquitoes. The Citronella plant releases a beautiful lemon fragrance into the air, perfuming your porch or garden and at the same time driving away mosquitoes. It contains the same substance – gereniol – that is also found in citronella grass, but in smaller quantities. This substance has been showed in research to repel mosquitoes and is the source of the Citronella plant’s power to drive away those pests. Citronella (Pelargonium citronellum) is a native of South Africa, where it has evolved over millions of years to resist drought and heat, but not freezing temperatures. It is a relative of the red garden geranium and belongs to a large group called ‘scented geraniums’ which are important for their varied smells and are grown extensively for the perfume industry. Citronella is an important source of lemon oils and it will fill your porch will a cooling lemon fragrance, especially on hot days. To catch even more of the wonderful smell, crush a leaf between your fingers. The leaves can also be used to flavor puddings and drinks. A Citronella plant will grow six inches to three feet in a season, depending on weather and climate. It will grow fastest in hot, sunny conditions. Its size can easily be controlled by pruning. 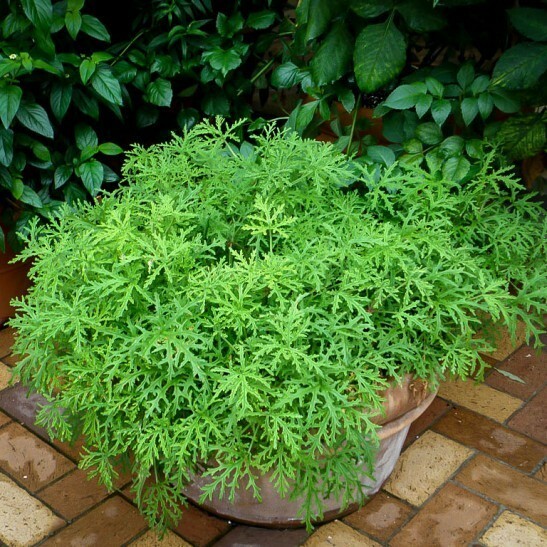 In a pot, and even more so in the ground, Citronella is drought resistant. If you forget to water it, it won’t curl up and die like so many pot-plants. It will just stop growing and wait for you to remember it. In fact it should not be over-watered, so it is the ideal pot-plant for those of us who don’t always remember to bring out the watering-can. 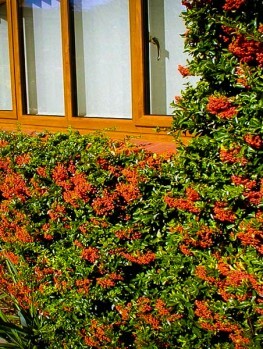 It is resistant to most insects and doesn’t suffer from diseases. It benefits from a little liquid fertilizer during the growing season, particularly in a pot, and it should become rather dry between watering – this will keep it strong and healthy. Citronella grows best in sunny or bright locations. Citronella grows as a small or medium-sized rounded shrub, with leaves shaped like a hand, wrinkled and with some soft hairs on them. 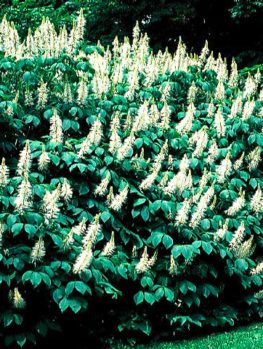 The flowers are in clusters and they are produced all summer long. They are purple-pink in color with a dark-purple blotch on the upper three petals. The stems are green when young and become brown in mature plants, which may even grow a short trunk. 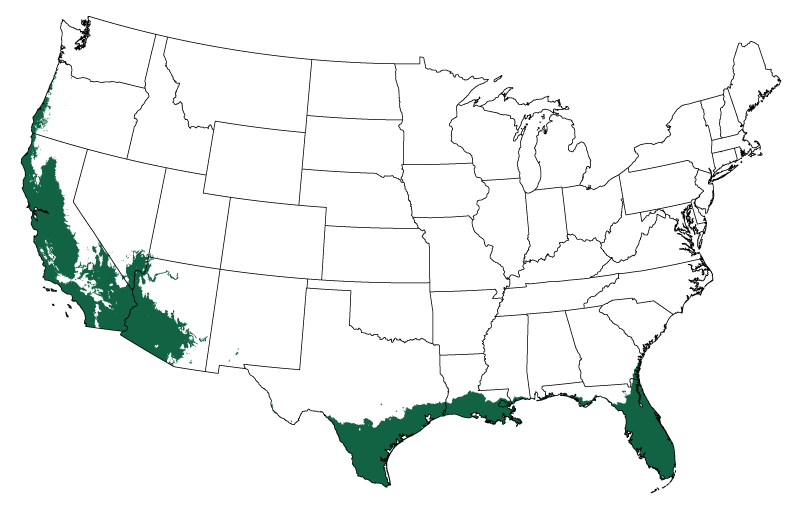 The size of your Citronella will depend on how you grow it and where you live. 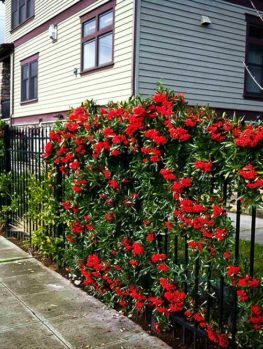 In Zones 9 to 11 it can be grown outdoors in the soil and will become a shrub 6 feet tall and 3 feet wide. In zones 5 to 8 it will grow inside your patio and in cooler areas you should bring the pot indoors during the winter. It should not be exposed to temperatures below 30o F. Outdoors it will grow best in more sandy soils, but it will grow in all soils that are not wet for long periods. A position in full sun or mostly sun is best and plants in sun will produce the most gereniol. Citronella is a great plant to grow right in the garden if you live in Florida, California or southern Texas. In cooler areas it should be grown in a pot on your porch or indoors in winter and if you wish to, placed outdoors in summer. 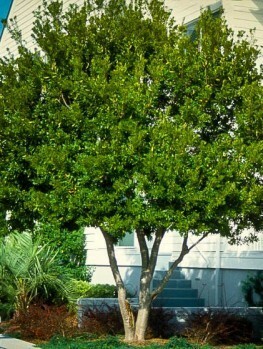 It can also be planted directly in the ground for the summer, then lifted, pruned and potted in the fall. In a pot use any well-drained potting soil – a mix of half regular potting soil and half cactus-mix would be idea. As your Citronella grows move it into a slightly bigger pot once a year, but it can remain for many years in the same large pot with regular pruning. A large plant can be removed from is pot during winter and some of the soil knocked off. Then the plant is put back in the same pot with some fresh soil. When planting outdoors dig a hole two or three times wider than the pot. Place your plants in the hole, replace most of the soil and firm it well down. If planting a group or row, allow 18 inches between the plants. Water thoroughly and when the water has drained away replace the rest of the soil. Citronella can be pruned or cut back as much as you want; just make sure you do this in spring a little before the new growth begins. 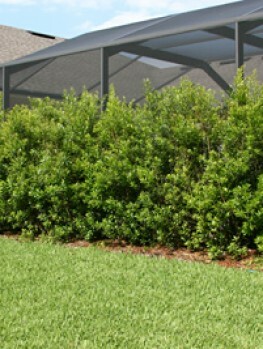 It can also be clipped regularly to keep the plants neat and to control their height. Citronella is a special plant and only the exact plant will produce that gorgeous lemon scent. So it must be produced directly from plants absolutely known to be the right variety. Our plants are grown the correct way, from branch cuttings of these special ones. That way every tree is identical to the original. However, these take longer to produce, so avoid cheaper seedling plants that will only be a disappointment. We sell only trees that are true to the original form and we have a wide range of sizes to give you the best plant for your purpose. We are constantly renewing our stock so our customers get fresh, healthy plants, so supplies of this tree may be limited.